The finest pools to swim are certainly indoor olympic pools. 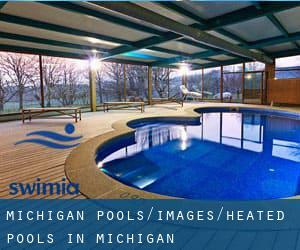 Looking for Heated Pools in Michigan? Numerous of them belong to gyms or sport centers which also provide lessons. If you will be visiting Michigan ensure you know the rules and regulation for swimming as they may not be exactly the same as inside your home town. Please check the nearest Swimming Pools or Contact us to ADD IT. It is free! Are you on holiday and want to keep fit and healthful? Swimia.com offers you the painless and quickest technique to find pool near Michigan. 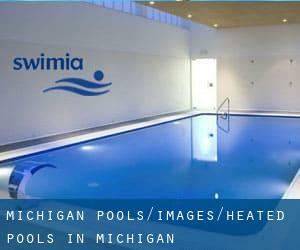 Thanks to some new Heated Pools in Michigan submitted each day, Swimia.com is increasing everyday the number of stored pools. Please don't hesitate to contact us in the event you discover any inaccurate or incomplete facts. Swimming can be a wonderful idea to keep your body active during your visit to Sterling Heights (Michigan), or perhaps if you are a local. Swimia assists you to find your closest Swimming Pool in Sterling Heights. It's difficult to visit Michigan devoid of dropping by Warren (with 134.056 residents). Presently Swimia is showing you all of the Pool in Warren and the closest pools located in its vicinity. Let us tell you a secret to switch off while you will be in Grand Rapids: just choose a Swimming Pool in Grand Rapids and plunge into the water! There's no much more effective method. Whereas Detroit is among the six most populous cities in Michigan with almost 713.777 residents, you shouldn't miss that one if you're going to Michigan. Updated on 2019 1201 W. Fair Ave. , Marquette , MI , USA (Postal Code: 49855). Among all of the activities supplied by the center, for anyone who is thinking about swimming you'll delight in 25 yards, 6 lanes, Indoors. Just in case you would like to contact this Pool before dropping by, we only know the phone number. Updated on 2019 1125 W. Civic Center Dr. , Traverse City , MI , USA (Postal Code: 49686). Swimmers like you reported 25 yards x 42 feet, 6 lanes, Indoors. Unfortunately we do not have the e-mail address of this Pool, but we can provide you with the phone number. Updated on 2019 610 Hilton Blvd. , Ann Arbor , MI , USA (Postal Code: 48108). Swimmers like you reported 20 yards, Indoors. Unfortunately we do not have the email address of this Swimming Pool, but we can give you the phone number. Updated on 2019 52401 Ashley , New Baltimore , MI , USA (Postal Code: 48047). Among all of the activities provided by the center, for anyone who is interested in swimming you can expect to enjoy 25 meters, 8 lanes, 3.5 feet - 8 feet depth, Indoors. Just in case you would like to make contact with this Pool prior to dropping by, we only know the phone number. Updated on 2019 Lake Orion High School , 495 E. Scripps Rd. , Lake Orion , MI , USA (Postal Code: 48360). Few days ago a standard user of this center told us they offer 25 yards, 11 lanes, Indoors. Furthermore, they keep in good conditions 25 yards, 4 lanes, Indoors. For this Pool, only phone number is number here. Updated on 2019 8431 Rosa Parks Blvd. , Detroit , MI , USA (Postal Code: 48206). Among all the activities offered by the center, if you are thinking about swimming you will appreciate 25 meters, Indoors. Just in case you desire to make contact with this Pool just before dropping by, we only know the phone number. Updated on 2019 100 Grand Traverse Resort Blvd. , Acme , MI , USA (Postal Code: 49610). Among all the activities offered by the center, if you're thinking about swimming you might enjoy 25 yards, 3 lanes, Indoors. Just in case you want to contact this Pool just before dropping by, we only know the phone number. Updated on 2019 1401 Presque Isle Ave. at Fair Ave. , Marquette , MI , USA (Postal Code: 49855). Swimmers like you reported 25 yards x 60 feet, 8 lanes, Indoors. Unfortunately we do not have the e-mail address of this Swimming Pool, but we can provide you with the phone number. Updated on 2019 715 Brooks St. , Ann Arbor , MI , USA (Postal Code: 48103). Among all of the activities offered by the center, if you are thinking about swimming you can expect to delight in 25 yards, 6 lanes, Indoors. Just in case you want to contact this Swimming Pool prior to dropping by, we only know the phone number. Updated on 2019 2200 Clinton Ave. , Saint Clair , MI , USA (Postal Code: 48079). Swimmers like you reported 25 yards, 6 lanes, Indoors. Updated on 2019 12500 Crystal Mountain Dr. , Thompsonville , MI , USA (Postal Code: 49683). This sports center offers 20 yards, 2 lanes, Indoors. For this Pool, only phone number is number here. Updated on 2019 At the South end of the CMU Campus , Mount Pleasant , MI , USA (Postal Code: 48858). Swimmers like you have reported 25 yards, 6 lanes, 4 feet depth, Indoors. Also, you will find 25 yards, 6 lanes, 4 feet depth, Indoors. Just in case you want to get in touch with this Swimming Pool before dropping by, we only know the phone number. Updated on 2019 2800 Kettering Drive , Waterford , MI , USA (Postal Code: 48328). This sports center offers 25 yards x 25 meters, 8 lanes, Indoors. Contact knowledge for this Pool such as phone number and e-mail address are number. Updated on 2019 46000 Summit Parkway , Canton , MI , USA (Postal Code: 48188). Among all of the activities offered by the center, if you're interested in swimming you will appreciate 25 yards x 40 feet, 5 lanes, Indoors. Just in case you want to contact this Swimming Pool before dropping by, we only know the phone number. Updated on 2019 701 N. Marshall Ave. , Marshall , MI , USA (Postal Code: 49068). Among all of the activities provided by the center, if you're keen on swimming you can enjoy 25 yards x 45 feet, 6 lanes, Indoors. Just in case you would like to contact this Swimming Pool before dropping by, we only know the phone number.